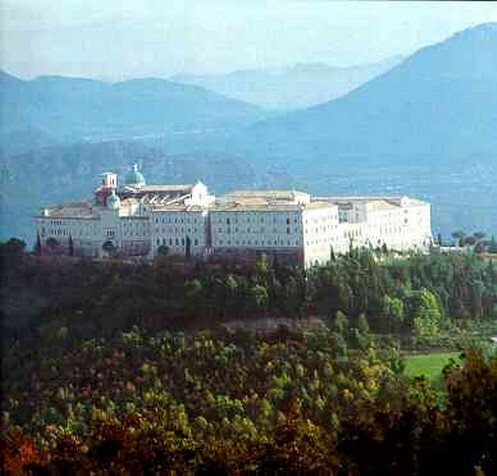 "In his loneliness Benedict progressed without interruption on the way of virtue… Around himself had assembled many to the service of almighty God, in a such big number, that, with the help of the Lord Jesus Christ he could build twelve monasteries, to each he appointed an Abbot and gave a small group of 12 monks. He held with him just few monks to which, he thought opportune, give personally a more complete formation." 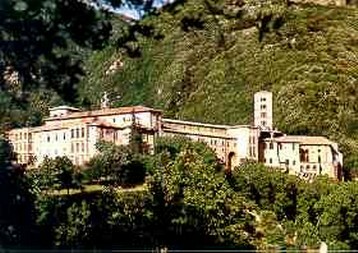 The monastery of Saint Scholastic is the only one,of the twelve founded by Benedict in the Subiaco region that has survived up to now. Benedict had personally tried how extremely arduous is to look for God in loneliness and he therefore chose for his followers, coenobitic life, that means living together.